We fell in love with 72 Hair, their Shampoo, Conditioner & Mask are great products that bring an awesome result! 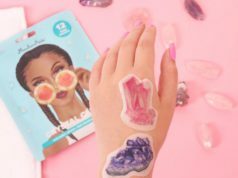 We decided to explore more products from the brand and see if they are that great too. This time we wanted to test hair products that help repair, nourish and smooth away frizz. We always want to keep our hair healthy and good looking, but somedays it is just not the case, especially in cold times of the year. 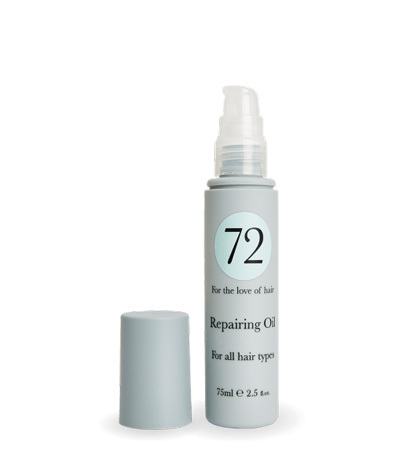 The 72 Hair offers two products: Repairing Oil & Nourishing Shampoo that focus on frizzy hair, and hair that needs repair and nourishing – which is exactly what we were looking for! One of our experts has a straight Asian and very long purple ombre hair that needs constant moisturizing and nourishing to keep it healthy and shiny. “Normal shampoo doesn’t work for my hair” – she says, -“If I don’t moisturize it often they won’t be soft and hard to manage”. 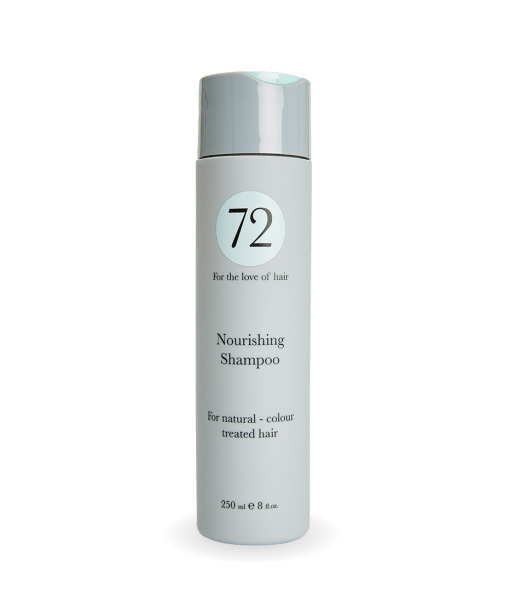 The 72 Hair Nourishing Shampoo was the first one to try! This shampoo is thicker than the other Hydrating Shampoo, therefore, you need to apply less product, so the bottle lasts longer. MyTopFace Expert noted that hair became soft right after applying a little shampoo and it was easier massage it into the scalp and all length than with a usual shampoo. After rinsing off the shampoo hair felt very light, easy to manage and brush without a struggle. The expert said she couldn’t believe this result as usually to get even close to something like this she had to use ‘magic potions’. The Nourishing Shampoo designed as an every-day shampoo and if your hair is frizzy or needs extra care this product is for you! Our Expert has a purple colored hair and she reported that product did not damage the color and even added shine! Since we wanted to use both products in the same test the next step that our expert did is apply Hydrating Conditioner that we reviewed in our previous article. After rinsing off the conditioner and drying hair with the towel the expert applied a small amount of 74 Hair Repairing Oil from the mid-length of the hair to the tips and left it to dry naturally. The next morning expert reported – her hair was very soft and smooth, the oil added shine and locked moisture in the hair making it very easy to handle and amazingly good looking! The Oil can be applied to the wet or dry hair and is a great product to use with a blow-dry to style hair. You can apply the product to the wet hair before blow-drying hair or on dry hair after blow-dry procedure to tame flyaways. MTF hack: Repairing Oil you should apply on dry hair four inches from the roots and let it stay overnight( for best result cover hair with plastic cap). In the morning wash your hair with shampoo and conditioner and before blow drying simply apply the Blow Dry Cream. Once again we are happy with the result of our test and can say that the 72 Hair products are new favorites on our beauty stand. 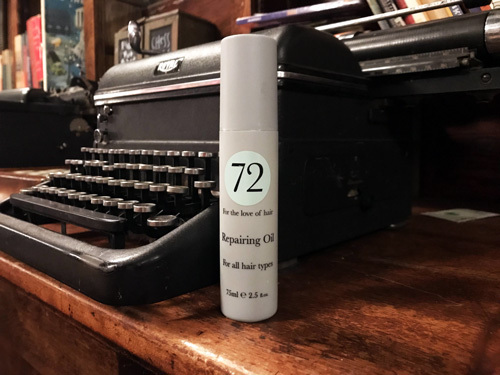 The 72 Hair can really deliver a salon quality results to your hair without actually visiting a salon or using Profesional Only Use products.